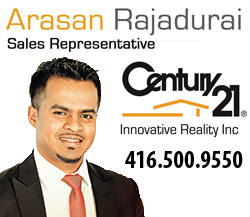 This post is part of the Tamil Heritage Month Initiative. Tamil Heritage Month began in 2010 and seeks to celebrate Tamil heritage, culture, and history. Throughout this month and January, we will be providing you with educational material and poetry such as this that seeks to help us celebrate and understand our culture, roots and heritage. Rajaraja Cholan was one of the greatest kings of the Chola Empire who ruled between 985 CE and 1014 CE. Rajaraja Cholan and his son, Rajendra Cholan have been credited with the expansion of the Chola Empire by virtue of winning land through military battles against the Sinhala and Pandaya armies. His strength, valour and power has been celebrated in Tamil literature, movies and songs. Some of his greatest achievements, the building of the Raajarajeswaram in Thanjavur, still remain as one of the most amazing architectural achievements to date. The Raajarajeswaram in Thanjavur is now regarded by UNESCO as a World Heritage Site. The construction of the temple was completed on the 27th day of the 25th year of Rajaraja Cholan’s reign. Rajaraja Cholan was named Arulmozhi Varman at birth. His name became Rajaraja Cholan (Great King) with the victories he won in battle. He was the third son of Parantaka Sundara Cholan and Vanavan Mahadevi. Rajaraja His elder brother, Aditya II was assassinated, although the circumstances surrounding that are unclear. 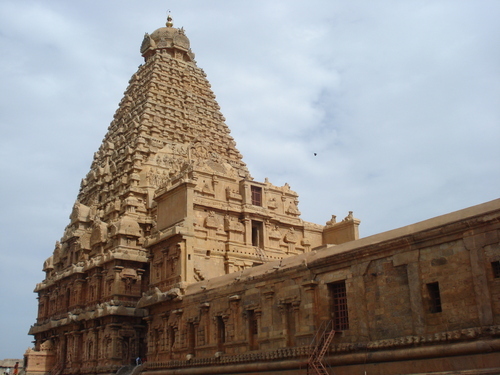 According to inscriptions on the Thanjavur Temple, his only known son is Rajendra Cholan. Brihadeeswara Temple built by Raja Raja Chola I in 1010 A.D.
Raajarajeswaram Temple built by Raja Raja Chola I in 1010 A.D.
Rajaraja Cholan was not one who desired the throne. The history of the Chola Empire has been recorded on gold and copper plate inscriptions. One inscription from Thiruvalangadu reads, “…Though his subjects…entreated Arulmozhi Varman, he…did not desire the kingdom for himself even inwardly as long as his paternal uncle coveted[it]…”. A lot of what we know today, we have read or heard about – but many of it comes from records he left himself. Rajaraja Cholan was a King who understood the value of a recorded history and brought about standardized inscriptions. He recorded all of his military achievements and important events in gold, copper and stone inscriptions. He is credited as the first king of South Asia to do so. Even the past Pallava, Pandhya and Chola dynasties failed to leave a record of their military achievements in stone. His successors have all followed suit in leaving behind a recorded history of their military achievements. Rajaraja Cholan was also instrumental in retaining past historical information and the records of his predecessors. An inscription found at Tirumalavadi notes that Raja Raja Cholan ordered the inscriptions from central shrine in the Vaidyanatha Temple should be recorded in a book and re-inscribed after it was being rebuilt. Rajaraja Cholan also issued that all donations and grants made to the Thanjavur Temple, a temple build during his reign, be engraved in the stone. Rajaraja Cholan Status ManimandapamRajaraja Cholan was a King tolerant to the religious practices of others – although he was a follower of Lord Siva, he has constructed Vishu Temples, the Buddhisht Chaudamani Vihara. His sister, Kundavi, built a Jaina Temple, the Kundavi Devi Jinalaya. His sister Kundavi was regarded highly among him, and Rajaraja Cholan had much admiration for her. She was married to a Bana Price, Vallavaraiyan Vandiyadevan. Rajaraja Cholan is also widely regarded for his administrative practices. He brought into a system of audit and control that was governed by village assemblies and public bodies. Through his policies, administration and accountability were brought about. His organization also carried on to creating one of the most powerful standing armies and navy. His son, Rajendra Cholan was named supreme commander of the northern and northwestern dominions of the Chola Empire. Rajaraja Cholan was a widely respected and regarded King by his subjects. His valour, power and expansion of the Chola Empire brought him much admiration. He has been referred to by other names including Abayakulasekarar (one who has a lot of groups who have surrendered before him), Azhagu Cholar (the most handsome Chola King), Ravikulamanikam (the King like a Ruby), Sanda Parakramar (The King with the power of Wind), Nigarili Cholar (The Chola King without comparable Kings), Panditha Cholar (the Chola King who is complete with knowledge) and Jayamkonda Cholar (The King who is always victorious). Rajaraja Cholan continues to be a person of interest to Tamils, he has been the subject of many books and dramas. Including movie, Rajaraja Cholan by Shivaji Ganesan, Kalki’s literary masterpiece, Ponniyin Selvan with Arulmozhi Varman as the protagonist, Sujatha’s Kandalur Vasantha Kumaran Kathai, Seshadri’s Raja Kesari, and many more. You probably hear it more than anything else, you either love it or hate. You never use it yourself, but everyone else uses it. What is it? That’s right, your name. Names are a significant part of a person’s identity. In giving children personal names, Tamils are known to follow uncommon practices. Although not practiced widely today, traditionally Tamil names were not just given lightly – a child had to be named within 12 days of birth, there was an appropriate number of syllables a name could have based on the time of birth, the final syllable of the name followed a phonetic structure, and certain names and letters were to be avoided. Tamils also chose personal names which conveyed a desirable semantic quality – such as power, happiness, success, prosperity, beauty, victory, greatness or devotion or a highly esteemed abstract quality – such as sathiyam (truth) or azhagu (beauty). The second part, or ending of a name usually is also derived from a common suffix with such qualities. For example, durai (lord), rajan (king), devi (lady), vati (lady) are all common suffixes. The devotional name is also a popular one – they have taken such prominence that people have forgotten what the name itself means, and only what God or Lord it represents – for example, Murugan means handsome male, however many only know it as Lord Murugan. Tamils also have in the past named based on non-Tamil historical figures paired with a name of Tamil relevance – such as Lenin Kumara-Samy. Other rules also applied when choosing a name for a child, such as the first two males of a family are named after the grandfathers and the first two daughters are named after the grandmothers. In fact, the Tamil word ‘peran’ meaning grandson has been derived from this fact ‘per name’ peran actually means the boy who bears the name, and ‘pertti’ means the girl who bears the name. We however, have been moving away from choosing names of Tamil relevance to other names. With Tamils choosing now to give children shorter names and more Anglo-Saxon names because they believe it is more convenient and employable (Krishnan becoming Kris). But doing so, we will loose the Tamil name our children have – which also includes part of their identity. We should bring back family names that retain our culture, and we should name our children after significant Tamil figures.In fact, Tamils are one of the only indigenous groups that derive names from other cultures as well, we borrow words and names from Sanskrit, Judeo-Christian (English, Hebrew and Portuguese) and Urdu. This however, meddles with the authenicity of our culture and identity. Let’s take the name Xavier, a name that many Tamil Christians use. There is no way to write Xavier in Tamil, Ceviyar is the only way to transliterate Xavier into Tamil. We are choosing names that we cannot even transliterate into Tamil properly. But other than names itself, what most people find different about Tamil names, is the way we use last names. In Tamil society, once a woman marries, her surname becomes her husband’s first name. Let’s use a simple example. Take the name Kajal Aggarwal. Kajal being the first name and Aggarwal being the last name. Say Kajal Aggarwal decided to marry Karthi Sivakumar. Her name would be Kajal Karthi, not Kajal Sivakumar as would be in many other cultures. Any children she has will also be given her husband’s first name. With this structure, it is easy to loose your ability to track down your ancestors. Like some cultures where a family name is given, Tamils family names change with every generation. How beneficial is it really to us? If you look at coming times, with more Tamils choosing Anglo-Saxon names over Tamil names, how will our successors track down their genealogy if they wanted to? Initially, Tamils used a caste name as a “second last name,” one which just came with their first and last name. For instance, Kajal Aggarwal would be followed by a caste name ________ (Caste Name) and Kajal Karthi would be followed by a caste name___________ (Caste Name). This structure would have a link back to the caste name even if the surnames were different, allowing for people to track their ancestors. This was thought to link people, however, with this no longer being practiced today (for good reason! ), Tamils lose their ability to track down their ancestors by name. A Tamil person could never track down someone using a geneology tracker and find out about their ancestors using name as a marker. If you look at the Jewish community or Chinese communities or other communities, there are certain names that you know belong to one family or that are inherently Jewish – Steinberg, Rittenberg or Chen for instance. You know that someone is Jewish based on their name, and you can track down the history of their family because they all have the same name. I argue that we should stop the practice of taking the first names of our husbands and fathers and instead start using a family name, one that would leave a trackable lineage. My father knows his grandfather’s name, but he does not remember the names of anyone before that, had we had a common family name, we would have known. Secondly, the names that we do take, need to be of Tamil influence and relevence. We should stop borrowing Sanskrist and Judeo-Christian names – because that doesn’t reflect our identity and it doesn’t grow our culture. Names are a significant part not only of one’s identity, but of a national identity and a cultural identity. We should take pride in our Tamil names, after all, we have the most beautiful names. Maveerar Naal is a day of remembrance for our beloved soldiers who fell fighting for a cause they felt worthy enough to sacrifice their lives for. This year marks the 25th anniversary of Maveerar Naal and it is more important than ever to remember why these soldiers sacrificed their lives for us. One shouldn’t just use this day of remembrance to reflect on the struggles of our brothers and sisters, rather we should relive their sacrifices on a day to day basis. Our brothers and sisters who have perished wouldn’t want us to reflect negatively on the past; moreover, they would want us to fight for the future so that the struggles they went through would not be wasted. On November 27th we should pay homage to our brothers and sisters out of respect, compassion and gratitude. They sacrificed they lives so that we could grow up without the barriers and hardships they faced. When people imply that our children are our future, I immediately think back to our Maveerar. Most of our freedom fighters were just like you and I, young people with big ambitions, a long life to look forward to. They all dreamt about making their mark on the world; however, as much as they wanted to live their lives, they were willing to give it all up so that the kids of tomorrow never would have to worry. Sacrifice can mean many different things; giving up that last piece of chocolate; giving your cousin that toy you loved as a kid; offering your seat to an elderly person, these are all examples of sacrifices we make on a day to day life. Now let’s look at the sacrifices our fellow brothers and sisters made back home. They sacrificed first and foremost their families, a thought that many of us will never be able to comprehend. One truly cannot appreciate the value of family until they are taken away from us. Our freedom fighters in a selfless act, willingly left their families so that they can fight for the many. Another sacrifice that was made was the education of our freedom fighters. We all know the oppressive and underhanded tactics used by the government to singlehandedly restrain Tamil students from progressing on towards higher education. This methodical process prohibited even the greatest of minds from succeeding. To combat this issue, our brothers and sisters sacrificed their careers for us. Many of our fallen soldiers would be in their 40’s right now if they were alive today. Who knows what great scientist, doctor, engineer or better pioneer we could have known had they been alive. The list of sacrifices that our brothers and sisters made can go on for a very long time but there is one final sacrifice I would like to mention, comfort. Our freedom fighters gave up the comforts we take for granted in our day to day lives. Our freedom fighters gave up the comforts of their own homes; they oftentimes fought in the jungles of Mulliyvaikal; they gave up their friends; they gave up their favourite foods and many more. These small comforts cannot be undervalued. Sacrifice according to you and I may now might not seem as drastic as it once did. On November 27th we should pay our respect to those very sacrifices our brothers and sisters made. 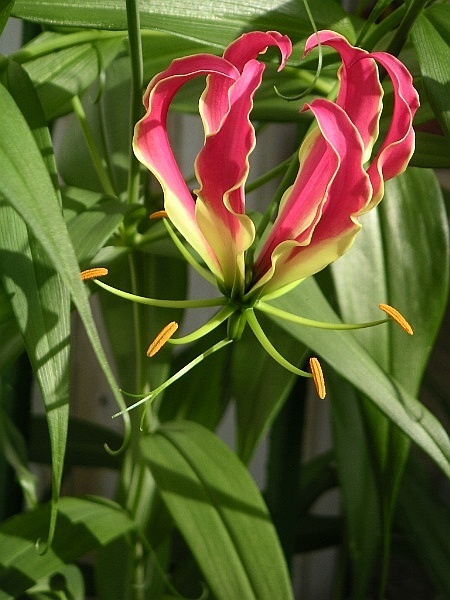 Maveerar Naal is a day of remembrance. We should stand in silence and reflect on the lives of our freedom fighters. When you go and lay your flowers or garlands on the Thuyilum Illam, you should stand humbly and with appreciation. We should as a collective whole try to find a way to bring to fruition the dreams of those we lost. The struggle to fight for our own homeland continues, we the students of today have the opportunities and means to wage a new kind of war. A war that has the capabilities to bring to light the atrocities that were committed by the government and their senior members. This war can achieve accountability and punishment for the crimes that were committed; furthermore, this war can achieve our own national state of Thamil Eelam. 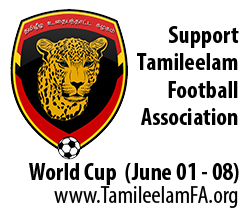 While our fallen soldiers rest in heaven, they will only truly rest in peace when they see the rise of a new sunrise on the soils of Thamil Eelam. Thaalam initiates “Nerukku Ner” and enhances the platform for our dancers! Thaalam is proud to present Nerukku Ner- the dance battle in order to enhance the platform for our Tamil youth dancers. The Arts & Culture council of CTYA is thrilled to collaborate with Tamil One television channel to bring forth yet another great initiative, a dance battle for our Tamil youth to showcase the power of dance. Through Nerukku Ner, Tamil youth will have another avenue to represent and strengthen their knowledge of Tamil culture, history and arts while showcasing their talents and expressing their identity through dance. The Arts and Culture Council of CTYA strives to create an environment for youth that are inspiring and conducive of self-expression through the arts and culture. Among its key objectives are the improvement, re-orientation and expansion of programs that promote the arts and Tamil culture to Canadian Tamil youth and the broader Canadian community. Nerukku Ner will be a knockout style dance battle that will be held over a period of 12 to 14 weeks and will be aired on Tamil One television channel. Each team must consist of a minimum of 4 dancers to a maximum of 6 dancers. Tamil One is the proud sponsor of Nerukku Ner cash prizes. Champions will be awarded a $1000 cash prize and the Runner Up will be awarded a $500 cash prize. The Arts and Culture Council is currently accepting applications for teams to participate in the dance battle. Please send in the names of your team members, school/university/college names, phone numbers and email addresses to arts.culture@ctya.org before November 9th 2013. If you have any questions, please do not hesitate to contact us. There will be auditions prior to final admittance to the battle and an orientation session will be held prior to commencement of the show. Are you ready to rise up to the challenge? We’re back!!! Yes, that’s right! We’re back to see if you’re ready to rise up to the challenge once again! 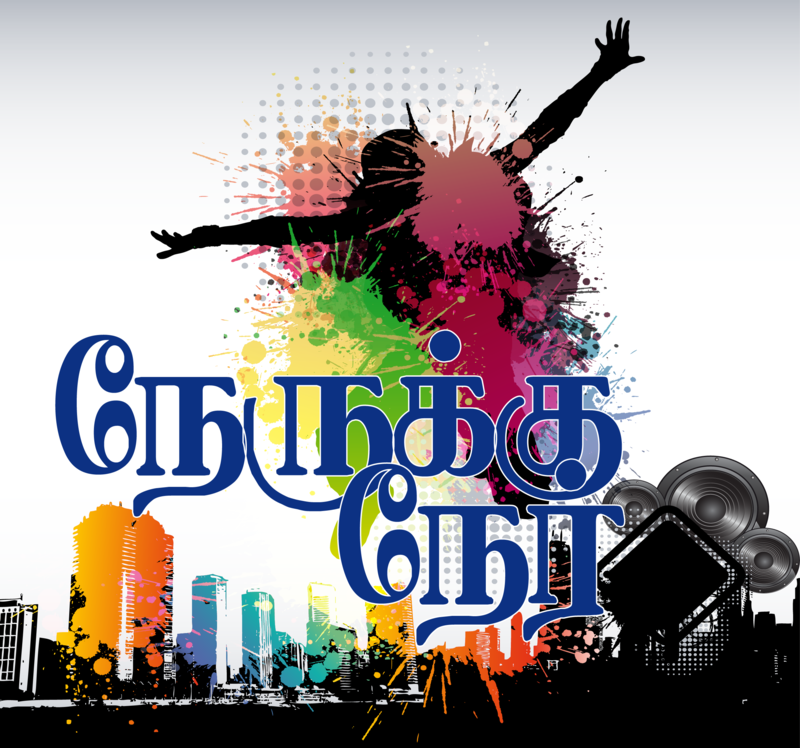 The Arts and Culture Council of Canadian Tamil Youth Alliance (CTYA) will be hosting its third Annual Thaalam dance competition in March 2014!!! The Arts and Culture Council of CTYA strives to create an environment for youth that is inspiring and conducive of self-expression through the arts and culture. Among its key objectives are the improvement, re-orientation and expansion of programs that promote the arts and Tamil culture to Canadian Tamil youth and the broader Canadian community. Dance is an integral part of art, as it is a form in which individuals are able to express themselves through movement. In essence, it captivates the viewers and commonly depicts a story without words. Individuals or groups of dancers unite and create a trance that allures people together and is often complimented by music and costume. In an attempt to showcase the power of dance, Thaalam was held in the past and was proven to be a successful event. Thaalam is a Tamil dance competition in which students from various schools come together and compete. Thaalam works to preserve the Tamil identity as the Tamil language, culture, and history is being represented and strengthened. Through Thaalam, Tamil dancers have a venue to display their talent and passion for dance. Thaalam 2014 will bring exciting opportunities for our youth. As requested from the dancers, there will be a total cash prize of $5,000 for the winners. Thaalam will also introduce “Nerukku Ner”, A Dance Championship in order to provide more opportunities for our youth to showcase their talents. More details on Nerukku Ner will be announced soon. We are proud to announce that Thaalam will be taking place on March 22nd 2014 at the Metro Toronto Convention Centre’s John Bassett Theatre. The Arts and Culture Council of CTYA is currently accepting teams who would like to participate in this much anticipated dance competition. Teams that are interested must confirm their participation by November 10, 2013. We are also looking forward to working with talented and dedicated youth who are enthusiastic in helping coordinate Thaalam 2014. If you would like to participate and/or volunteer for the Thaalam dance competition please contact CTYA’s Arts and Culture Council at arts.culture@ctya.org or 647-470-CTYA(2892). Let’s work together and make another memorable event! When I was a little girl, my mother told me that if I studied well, maintained my fair skin, and was a ‘good’ girl, did not talk to boys, I would land myself a Prince. She said, if I grew up with how she suggested, then everyone would want to marry me. I dutifully followed her command, after all, I wanted to ensure that I married a Prince. I maintained my A-student status, I stayed out of the sun, I was polite, obedient and meek, and I hardly talked to boys (unless it was school-related).Until I was in high school that is. It was then at some point, where I felt like I was not living my own life. It felt like I was living out my mother’s life. I felt entrapped, although I was a young teenager, here I was, pretending to be someone I was really not. This feeling was really brought on when my mother began to parade me around to the community, letting them know what a catch I was. But it was all superficial. I met boys like myself, successful, but unhappy. Puppets really. I felt like how Jeyam Ravi felt in Santhosh Subramanium. I felt I had to please her. I resented my mother. I blamed her continuously, I felt like she was the cause of my unhappiness. I felt that I lived a sheltered life, one where I was made into a socially awkward person, despite being born in Canada, was because of her repressive nature. I knew nothing of the popular bands, brands, or anything – I was totally forbidden from particiapting in normal activities as such. 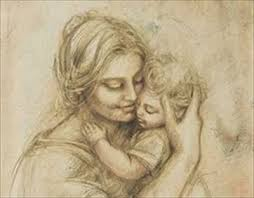 I felt like I was reprived of life and happiness because of the sheltered life she raised me in. A lot of the things our ancestors do, are really beneficial to us. If we want to keep our culture and traditions alive, it is up to us to learn about different aspects of our culture. This time, I wanted to learn more about home remedies used by Tamils and went on another quest. What is the world’s oldest language still spoken today? RECENT archaeological evidence suggests that Tamil spoken in the Indian sub-continent could have been the language used by the Indus civilisation and even the Sumerians.